Outfitted with a modern infrastructure, we are known as the most prominent manufacturer, trader, exporter and supplier of supreme quality Display Cold Counter. Our offered product is highly demanded for its instant cooling capabilities. It is manufactured with the help of optimum quality components and other raw material under the supervision our skilled experts. Further, the offered counter is thoroughly tested on various quality parameters by our skilled quality controllers to make sure that it is ready for use or not. We are manufacturing and supplying a comprehensive range of Display Counter. 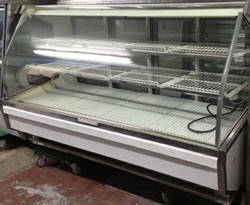 Our customers can avail these counters in Normal, Cold and Hot from us. Moreover, we also customize our product range as per the required specifications and requirements of our customers. 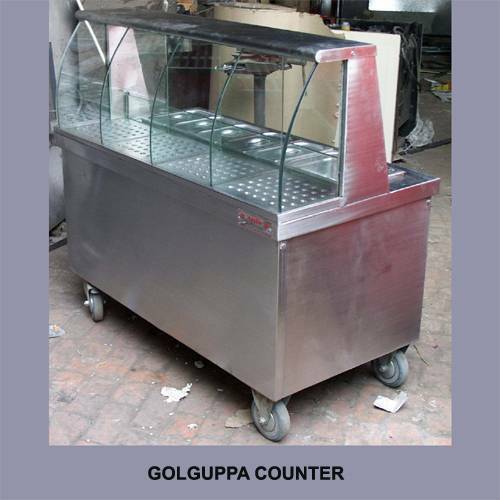 Owing to the vast knowledge, our company is competent to offer Golgappa Catering Counter to our customers. These products are known for their qualities such as fine finish, long lasting, reasonable price, and sturdy constructions. Our product is prepared using the top grade of raw materials and most contemporary technologies. Our patrons can avail this range as per their necessities. 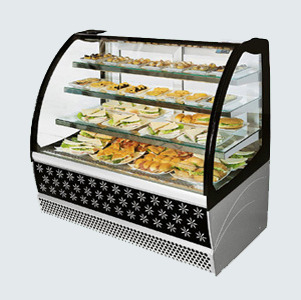 Our company holds expertise in offering a complete range of Snacks Display Counter. 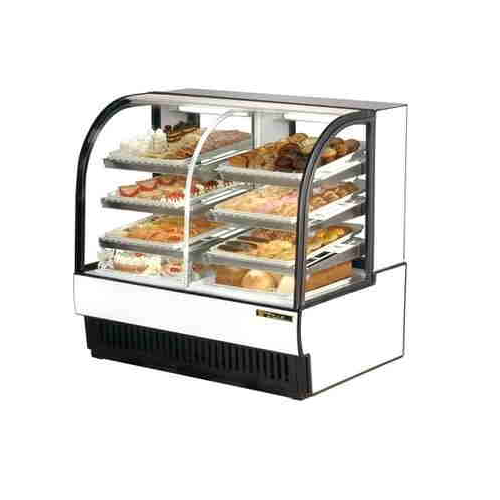 Snack counter is basically a type of commercial kitchen equipment, which is used to dispense different snacks in malls or other public places. Fitted with wheels, these counters can be moved from one place to another in an efficient and easy way. We have a huge team of skilled and trained professionals who have helped us to provide our clients with a range of Pastry Cabinet. To meet the various specifications and demands of the clients, we customize these products too. Following the international standards of quality, we check these products thoroughly to make sure it does not falter at the time of operation. These products are basically used to keep pastries and sweets fresh for longer time. 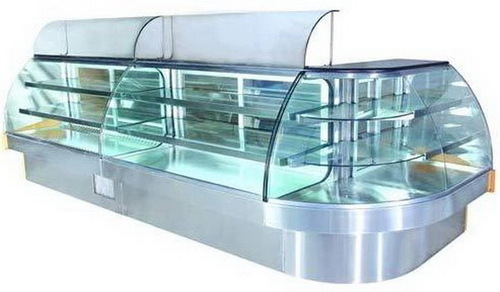 We are the prominent manufacturer and supplier of a supreme quality Glass Display Counter. It is used for keeping the food warm for a longer time and to serve on instantly. Our Display Counters are widely demanded in the national markets for its optimum performance, reliability and durability. These are manufactured from high grade stainless using advance machines to ensure optimum quality in the end product. 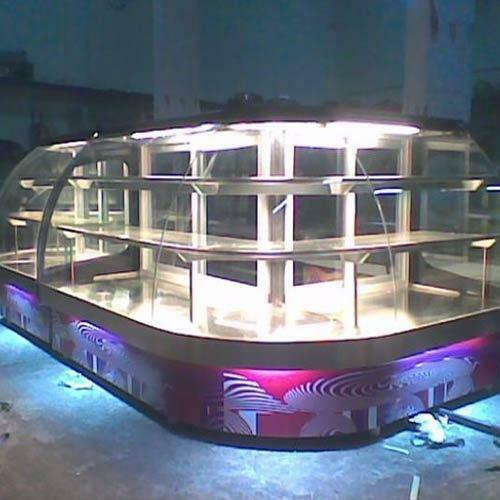 We are one of the prominent manufacturers and exporters of high quality Food Display Counter used for displaying the food and other eatables at marts, restaurants, etc. These display counters are light weighted and are dimensionally accurate. 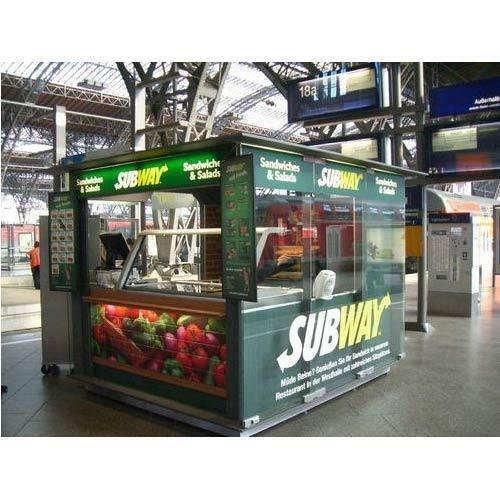 In addition to this, these food display counters are fabricated by the leading industry experts as per the latest trends and norms of the corporate world. We specialize in manufacturing, trading, exporting and supplying a durable and stylish range of Display Counter. 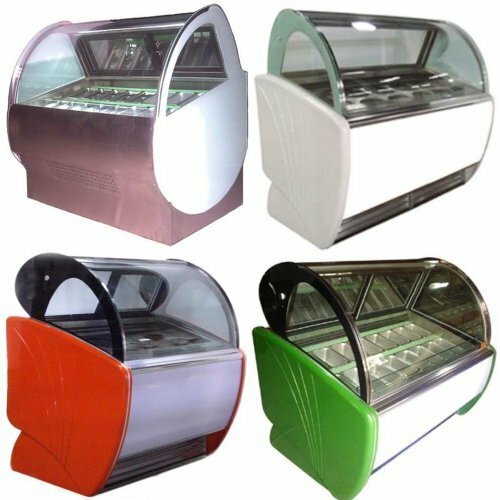 Highly acclaimed in bakery shops, retail stores and other similar places, the offered counter is manufactured using quality assured raw material and sophisticated technology. Further, we provide this counter in variegated designs and shapes to compliment the interiors of the space. Our offered counter is available for our valuable clients at market leading prices. 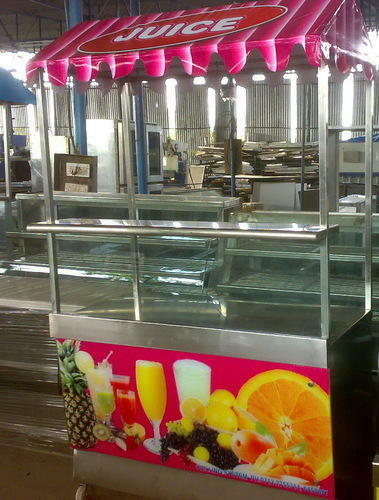 We also offer various kinds of Juice Counters. These are widely used in various hotels, Cineplex, restaurants and other places. These are fabricated with latest technology and are appreciated for their convenient designs. These are designed to keep various types of fruits in an organized manner. These are available with different sections. The unmatched quality and subtle performance in the respective applications. These are highly appreciated by our clients. Some of the features are as follows. 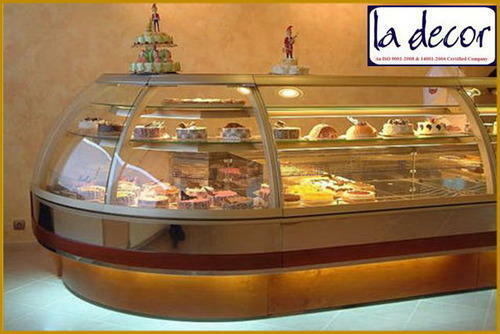 With hard work and sincerity of our professionals, we have fixed a position for ourselves in this field by offering an enhanced quality Glass Display Counter The offered counter is fabricated and designed in a way to display bakery stuffs in number of places such as food court,shops, cafes, fast food corner, malls and many more. 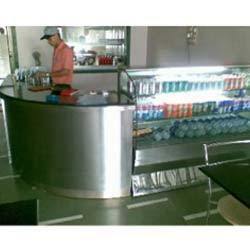 We offer this counter in various shapes and sizes to meet the precise requirement of our valuable patrons. 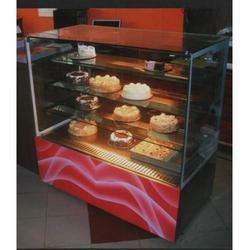 Enriched with years of experience, we are providing Sweet Display Counter. True to their name, these sweet display counters are used for displaying the sweets at the sweet shops. 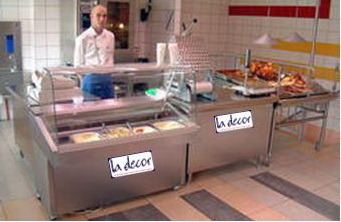 The offered range of these display counters are fabricated from the best quality material such as stainless steel. These display counters are additionally coated with an anti-resistant material which secures these from the effects of corrosion and rust. 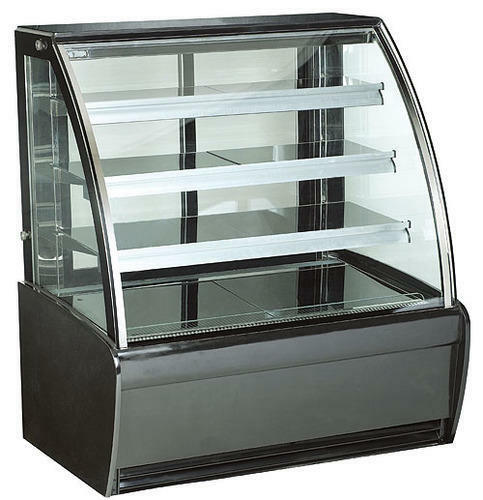 We are offering an exclusive range of Steel Display Counter which is ideal for food storing and displaying purposes. These products are fabricated using superior quality stainless steel and glass so as to keep the food fresh and attractive. Our range of products are highly demanded all across the nation in bakeries and confectioneries. These products can be availed by our clients by providing them in the market at industrial leading prices. With the assistance of the efficient and qualified team, we manufacture Electric Food Warmer. This food storage appliance is used to keep wide range of food items such as baked chicken, slice fruits, roasted meat, fried rice and others. 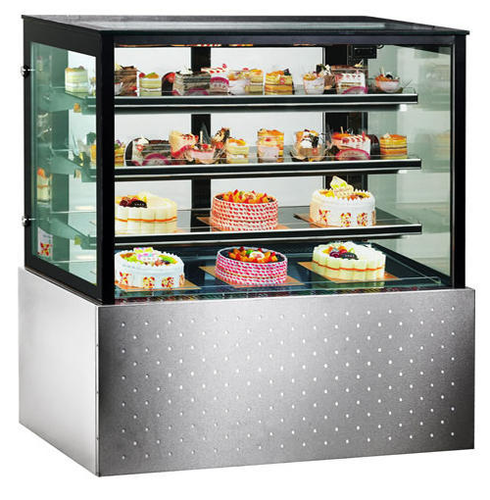 Our manufactured food equipment is extensively used in the Restaurants, Deluxe hotels and Bars. We provide high capacity in our food serving equipment with high capacity in view of the large food serving needs of the clients. Our manufactured food serving appliances is designed strictly as per the latest catering trends. We offer vast assortment of products including an efficient range of Display Counter which are manufactured using the latest technology and provided at highly competitive prices. Clients can avail these products in various sizes and capacities as per their requirements. Manufactured using the top quality raw material, this cold display counter is easy to clean and require low maintenance. 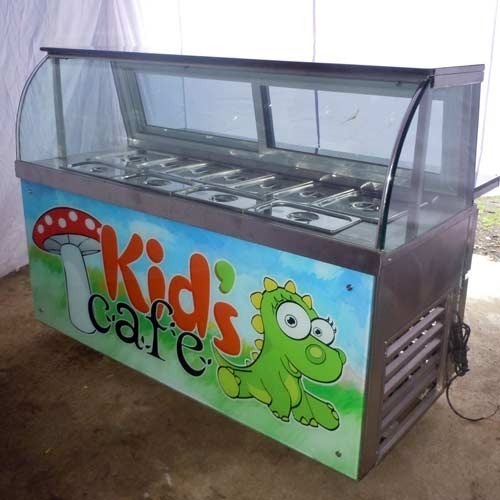 With our in-depth knowledge and experience, we are engaged in offering a superior range of Hot Food Counter with optimum quality. Provided equipment is manufactured using top notched grade raw material and advanced technology in adherence to predefined universal norms of quality. The equipment offered by us is thoroughly analyzed under the inspection of our adroit quality experts against the several parameters to ensure the flawless delivery at clients' end. 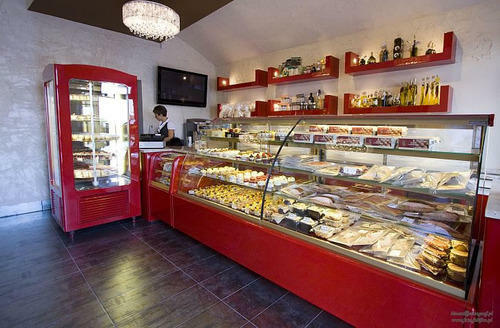 We known as the chief manufacturer and supplier of Pastry Counter. We manufacture these products utilizing optimum quality raw materials sourced from the reliable vendors. These are extremely used in hotels, fast food house, food eateries and restaurants. These are available in various sizes and capacities. We offer these counters at reasonable price range. We are known as client-oriented organization, providing qualitative Shop Display Counter. The offered product is manufactured using high grade material and contemporary tools to meet the international standards. 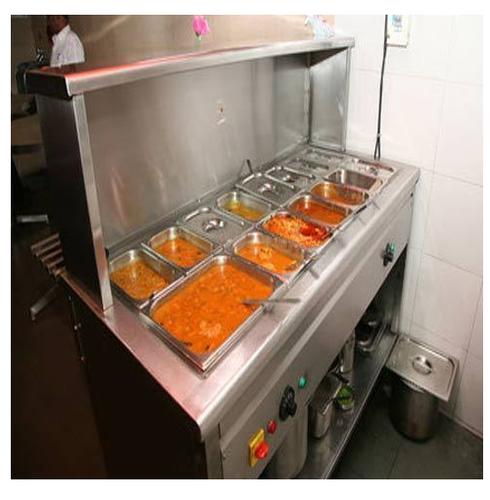 These counters are mostly used in the hotels and restaurants for keeping the items fresh and hygienic for long time. We offer this product in different specifications as per client's need at market leading prices.